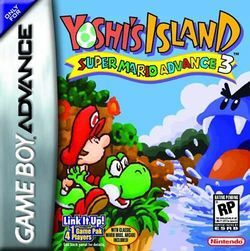 Yoshi's Island: Super Mario Advance 3 is the third installment of the Super Mario Advance series. This game is a remake of Super Mario World 2: Yoshi's Island. This page was last edited on 18 December 2017, at 02:27.